APPSC Agriculture Officer Hall Ticket 2019 Is Available From 10th April 2019: Good news for the aspirants who are waiting for the APPSC Agriculture Officer Examination 2019. The higher authorities of the Andhra Pradesh Public Service Commission (APPSC) had released the Revised Mains Exam Date on 17th April 2019. As they have announced the release date, you need to make sure with the latest update to download it. As you all know that the APPSC AO exam date was released to fill the 27 Agriculture Officer Openings. To attend that examination all the candidates must carry their valid APPSC Agriculture Officer Hall Ticket 2019 along with them. At last of this page, we had provided steps to download the APPSC Agriculture Officer Admit Card 2019. Similarly, after downloading the Admit Card, you can go through the following sections to know about the documents to be carried and information present on the APPSC Agriculture Officer Admit Card 2019. You can visit the official site www.psc.ap.gov.in for more details. Candidates who are attending the Agriculture Officer exam should refer to this section. After downloading the APPSC Agriculture Officer Admit Card 2019, candidates should check the data present on that, and if any mismatch occurs, you should notify the higher authorities of APPSC before appearing to the examination. Please, Make sure that you carry all the specified testaments along with the psc.ap.gov.in AO Admit Card. As you all know that Identity proofs are very important for verification purpose. You need to carry any one of the below mentioned documents. Are you ready to attend the APPSC AO Examination? Then you must carry the APPSC Agriculture Officer Admit Card 2019 along with you. Else the higher officials of the APPSC will not allow you to write the test. In the following section, we had provided the steps to download the APPSC Agriculture Officer Hall Ticket. Candidates can go through the following steps and can download their Hall Ticket easily. First of all, applied candidates must visit the official site of the Andhra Pradesh Public Service Commission (APPSC) that is www.psc.ap.gov.in. There you will get the home page of the APPSC on the screen. On the home page, you will find the flashing links related to various posts. Search for the APPSC Agriculture Officer Admit Card 2019 link. Crosscheck the details you had given correct or not. If correct hit on the submit button. You will get the APPSC AO Call Letter on the new page. 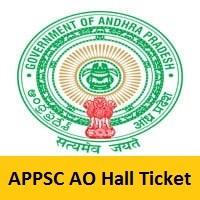 Download the appeared Andhra Pradesh AO Hall Ticket 2019 to your pc. Carry a copy of the Hall Ticket along with you till the end of the recruitment process. Finally, hope we had given complete information about the Andhra Pradesh AO Hall Ticket 2019. Likewise, for such similar details follow our webportal Freshers Now. Drop a comment in the below box if any doubts. Soon we will respond with suitable answers.